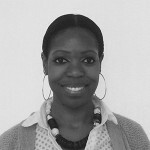 Adelaide is the Partnerships and Project Manager at Collaborate. Adelaide has previously worked internationally in the private, public, and social sectors. Adelaide has a BA in French and Spanish from the University of Bristol and an MA from the UCL Institute of Education.